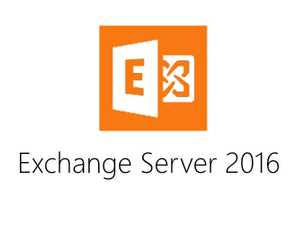 Exchange Anywhere: Exchange 2016 Preferred Architecture Now Available!!! Exchange 2016 Preferred Architecture Now Available!!! After the launch of Exchange Server 2016 RTM, Microsoft Exchange team started to update their product documentation and also published new planning guides for successful Exchange Server 2016 deployment. Now in series, we have the most important guidance published on the EHLO blog on Exchange Server 2016 Preferred Architecture. Microsoft team clearly stated that PA is their recommendation and still you can design your environment as per your requirement. Ensure that you read this guidance to gain additional insight that helps you for a successful deployment. "The Preferred Architecture (PA) is the Exchange Engineering Team’s best practice recommendation for what we believe is the optimum deployment architecture for Exchange 2016, and one that is very similar to what we deploy in Office 365".